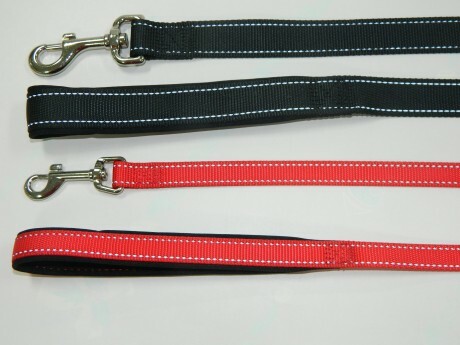 Dog Lead, Comfortable Nylon Reflective Dog Leash-Hi-Light International Inc.
We also have 4 foot or 6 foot / 120 cm or 180 cm long leash available for option. Swivel Bolt Snap hook with Nickel Plated. Quickly Attach Leash to Dog's Collar. Padded Handle for Comfortable Control. Reflective strand woven into webbing for safe feature. When walking dog after dark, it keeps dogs and owners to be safe.